What is winter without some fun in the snow. 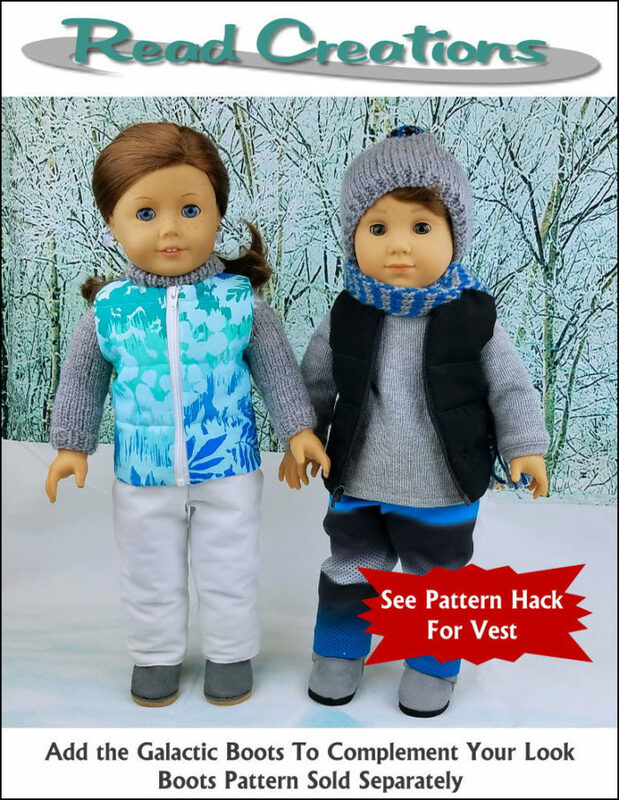 Use this Snow Pants pattern to create the perfect outfit. 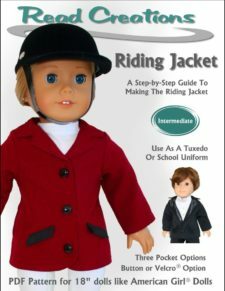 If you use different colors for the outer and lining fabric, the snow pants can be reversed for even more styling options. 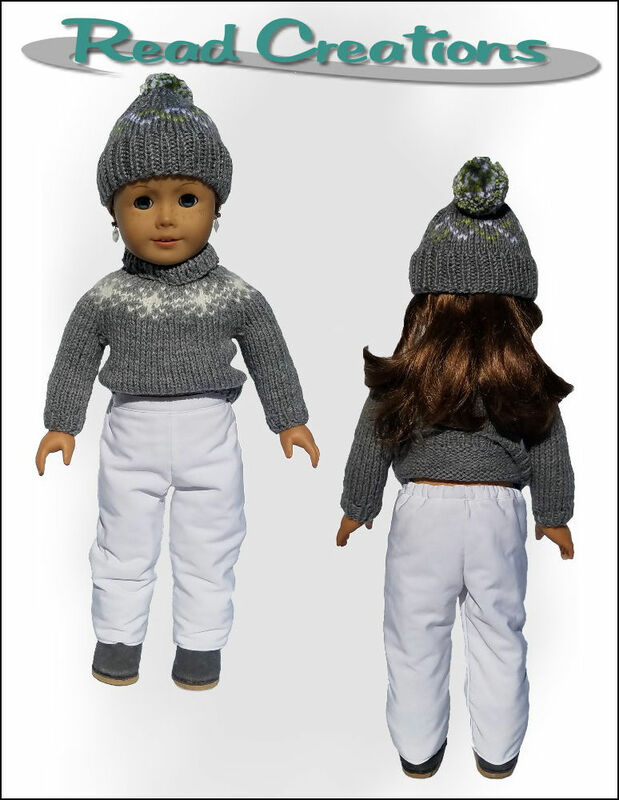 These pants are designed to work for Boy and Girl dolls. 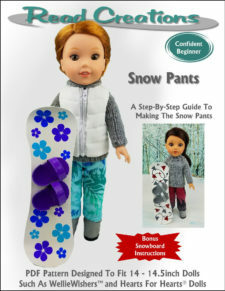 Add a Snowboard with the bonus instructions and your doll is all set for winter fun. 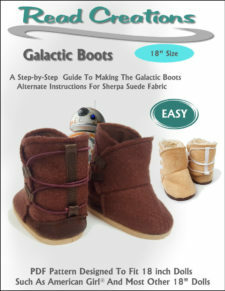 To complete the look, add the Galactic Boots and use the free Life Jacket Pattern Hack on my blog to make the Vest. 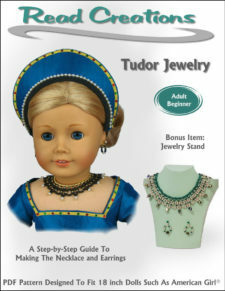 This pattern will soon be available in 14″ to 14.5″ size as well. 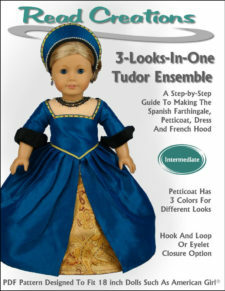 1/3 yard of cotton or satin fabric as outer fabric. There will be quite a bit of remnant left. 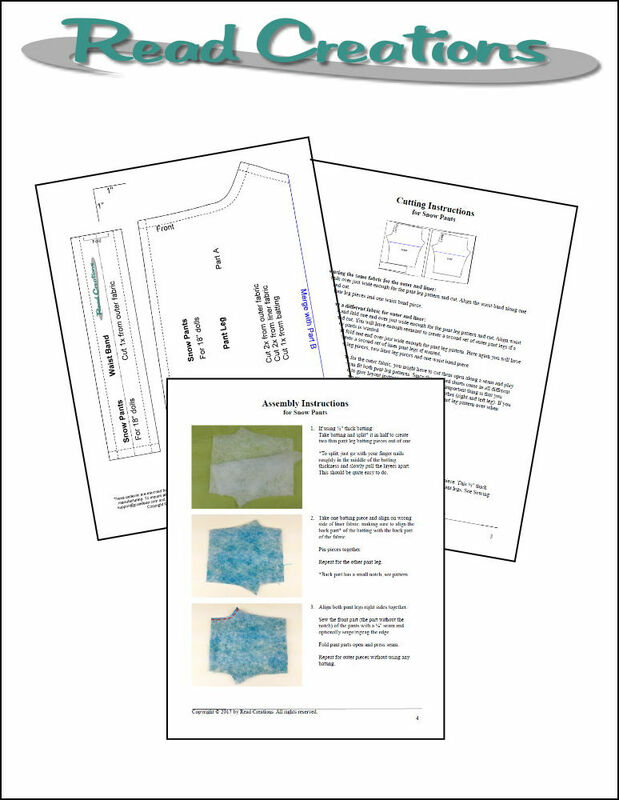 As an alternative you can upcycle used board shorts for the outer fabric. 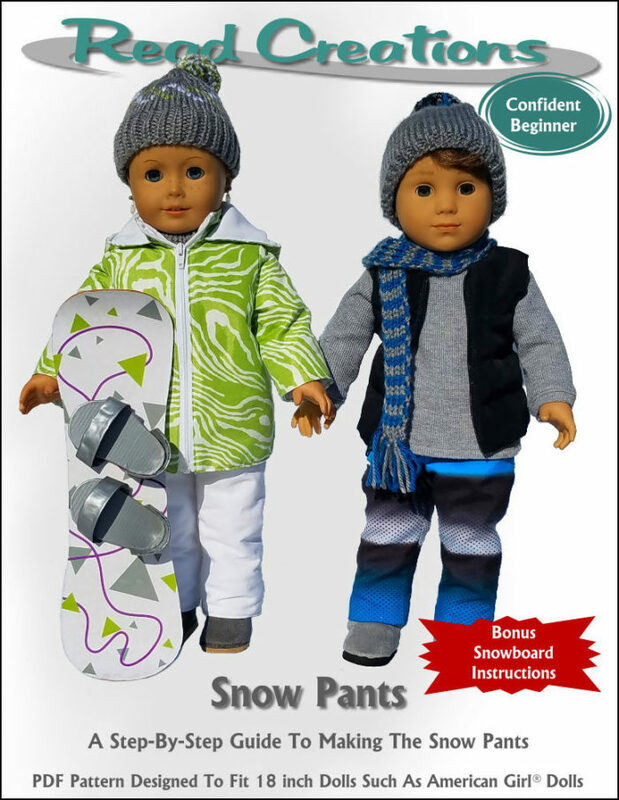 Those come in wonderful colors and patterns and are the perfect type of fabric for snow pants. 1/3 yard of cotton or satin fabric as liner fabric. There will be quite a bit of remnant left. If using the same fabric for outer and liner fabric then a total of 1/3 yard is needed and no remnant will be left.